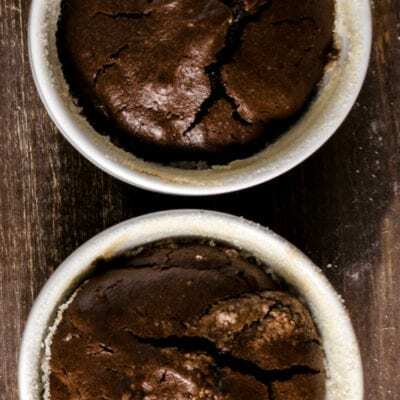 This Sugar Free Chocolate Souffle recipe is actually very simple to make. However, it is really very impressive as well. This is a great dessert to serve for a small crowd. Luckily, you can make this in individual portions too! Chocolate souffle is a great dessert to serve up. Making this recipe is a actually easier than you may imagine it to be. 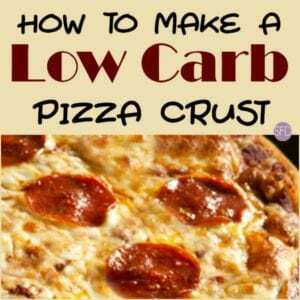 I like the simplicity of a recipe such as this one! The secret to making a good chocolate souffle lies in the chocolate that is used. Bittersweet chocolate, in bar form, are the standard chocolate that is used in a chocolate souffle recipe. This kind of(bittersweet) chocolate is usually specifically labeled with a 60%, 66% or really anything up to 70% on the packaging. 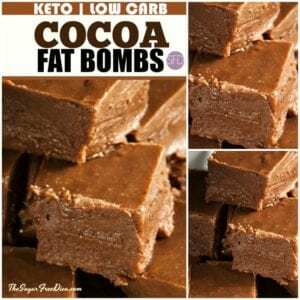 It can be a challenge to find a bittersweet chocolate that is not sweetened with sugar. 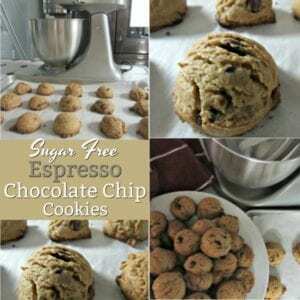 However, there are options for chocolate not sweetened with sugar that you can use in this recipe. Using a sugar free dark chocolate that is labeled with 70% is one option. Or, using a 55% dark chocolate (in chip form) that has not been sweetened with sugar is another option. The difference between these options in taste will be that the 70% will have a more intense chocolate taste while the other option will be a sweeter taster. 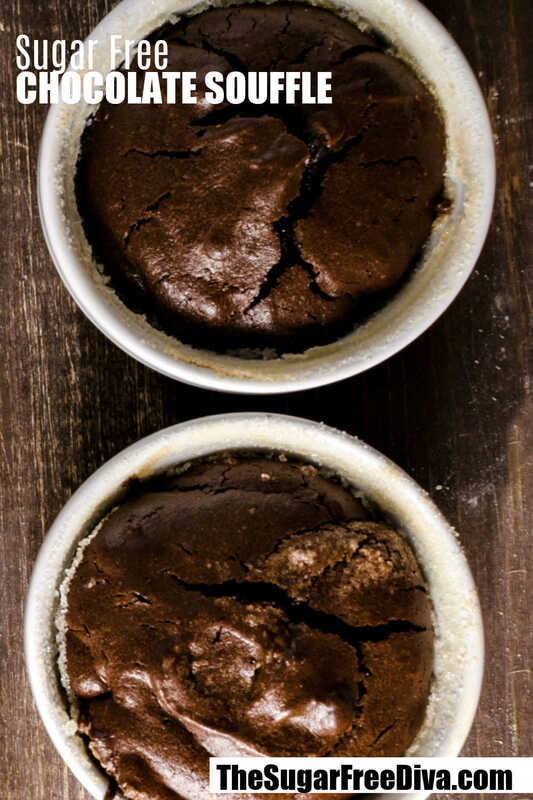 This recipe for Sugar Free Chocolate Souffle is made in individual sized ramekins. The size of the ramekins that you use will determine the number of servings that you will make. Ramekins come in many sizes from as low as 2 ounce to up to 10 ounce. You could however, use a souffle dish. A souffle dish will allow you to make one large souffle that you can cut into portions. A six cup souffle dish should suffice adequately for this recipe. For your sugar alternative, I would suggest using something granular in this recipe. The is for a couple of reasons including the volume issue of the ingredients. We will be dusting the souffle dish (or ramekin) with a bit of the sugar alternative before we bake the souffle. By the way, I should also point out that this is a recipe made without adding any flour. The ingredient list is actually quite short in this. This Sugar Free Chocolate Souffle is pretty much baked eggs with chocolate, well maybe a bit more than that but it is an easy recipe. There are several ways to serve this Sugar Free Chocolate Souffle. You could certainly serve this alone or dusted with some additional sugar alternative. However, I am also a fan of some sugar free whipped cream or sugar free ice cream accompanying this chocolate souffle. Sugar Free Gluten Free Chocolate Espresso Cake. Also, Sugar Free Chocolate Pudding Cake. Sugar Free Chocolate Pound Cake. As mentioned, you can bake this in individual sized ramekins or a six cup souffle dish. Choose a sugar free chocolate as well. Using a sugar free dark chocolate that is labeled with 70% is one option. Or, using a 55% dark chocolate (in chip form) that have not been sweetened with sugar is another option. The difference between these options in taste will be that the 70% will have a more intense chocolate taste while the other option will be a sweeter taster. 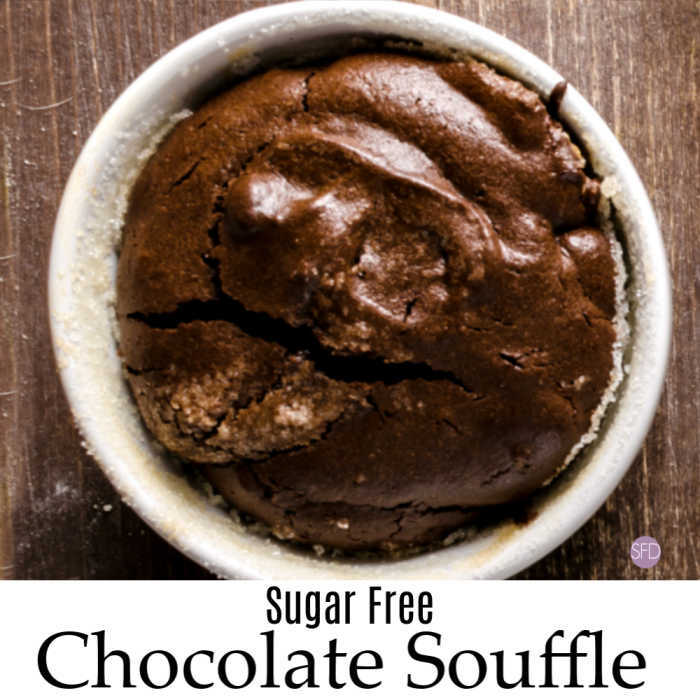 What you will need to make this Sugar Free Chocolate Souffle. Butter- 3 tablespoons. Also, you will need additional butter to coat your ramekin or souffle dish. The butter that you use to butter your ramekin or souffle dish should be softened. Sugar Alternative- Equivalent to 1/4 of sugar. Use a granular sugar alternative that measures 1:1 equivalent to sugar. Have additional alternative available for dusting your buttered ramekin or souffle dish too. Bittersweet or dark chocolate that is between 55% and 70% cacao- 8 ounces that is chopped if you are not using chips. Cream of Tartar- 1/2 teaspoon. This is an optional ingredient. However, Cream of Tartar will help increase the volume of the egg whites. 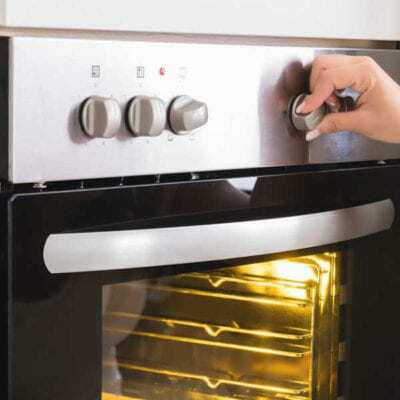 Start by preheating your oven to 350. Then butter your ramekin or souffle dish. Sprinkle some granular sugar alternative over the butter and then turn the souffle dish or ramekin upside down and tap the bottom to release any extra alternative that does not stick to the butter. Place the ramekin or souffle dish on to a baking pan. We are next going to melt the butter and chocolate together. You can melt this on the stove using a double boiler and stirring constantly until they are melted or blended. The water in the bottom of the double boiler should be in a simmering state for best results. However, you can alternatively microwave the ingredients in a microwave safe bowl, stopping to stir every 30 seconds. Next, in a small bowl, we are going to whisk together the egg yolks and the salt. In a mixing bowl, beat the egg whites and optional cream of tartar. Gradually add the sugar alternative (a third or a quarter at ta time) to the egg whites, beating between additions. 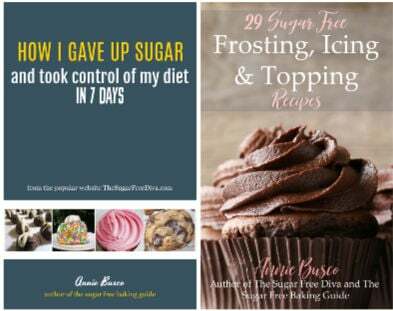 When all of the sugar alternative has been added continue beating this until you get stiff peaks that begin to hold. 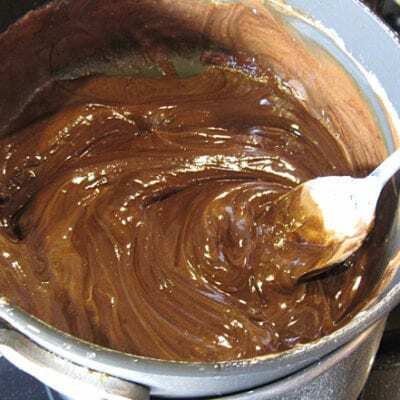 Whisk the egg yolks from the small bowl into the melted chocolate. Then fold in about a quarter of the egg whites into the melted chocolate. Next fold in the remaining egg whites, a half at a time. Spoon the mix into your ramekin or souffle dish. Some folks recommend that you run your finger around the inside of the ramekin before baking to help the rising process. Place the baking sheet into the center of the oven and bake until the souffle rises and begins to crust around the edges. It should take about 20-24 minutes. For a delicious sugar free dessert recipe that is sure to impress others, try this one. Sugar Free Chocolate Souffle recipe. Next, in a small bowl, we are going to whisk together the egg yolks and the salt. In a mixing bowl, beat the egg whites and optional cream of tartar. 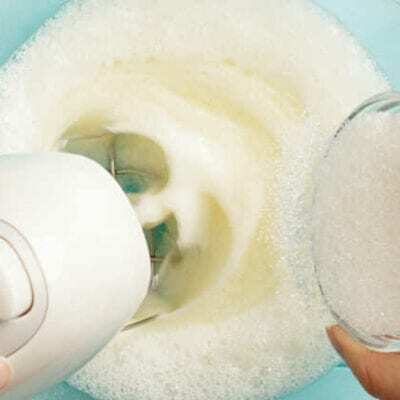 Gradually add the sugar alternative (a third or a quarter at ta time) to the egg whites, beating between additions. When all of the sugar alternative has been added continue beating this until you get stiff peaks that begin to hold. Please see post for details and information.